MediaKind and Google Cloud have collaborated on a number of projects, most notably on the world’s first 6K tiled 360-degree live sports streaming of a basketball game in Germany, which was delivered to Deutsche Telekom viewers via the Magenta VR app on December 9, 2018. On this project, MediaKind’s virtualized software encoding technology was deployed on Google Cloud Platform (GCP). 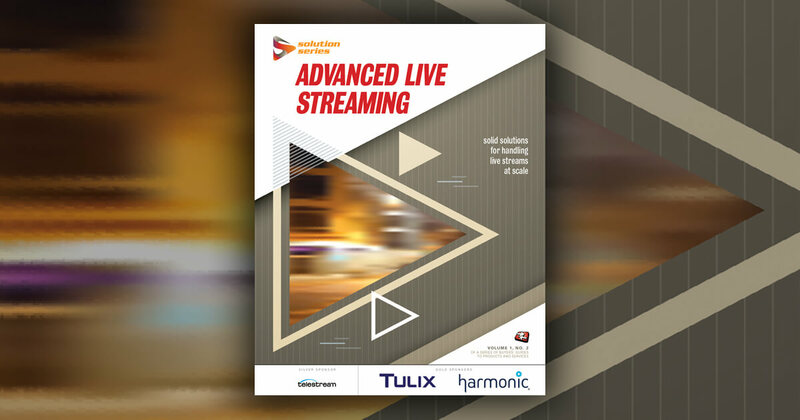 MediaKind’s software-based video solution was used to efficiently control and operate the traffic flow, while GCP was leveraged to enable flexible, scalable and self-healing cloud processing operations on dedicated dashboards. Through the entire Google Cloud ecosystem, MediaKind customers can enable a wide range of media applications and workloads through the cloud and take advantage of the greater reach to deliver personalized experiences to end users. The combination of the MediaKind and Google Cloud ecosystems enables faster time to market and more flexible cost structures, lowering the financial risks to creating and delivering immersive media experiences. MediaKind will also be featured in the Partner Pavilion at the Google Cloud booth during NAB. For more information on the MediaKind Universe, visit the MediaKind website: www.mediakind.com. At NAB Show 2019, MediaKind (SU720) will show how it is enabling content owners, broadcasters and service providers to evolve, adapt and shift to new and dynamic workflows with its portfolio of next generation solutions and services. The company will present the MediaKind Universe, a solution and service portfolio with industry renowned breadth and depth. Just as the consumer is positioned firmly at the center of today’s media universe, encircled by choice, the MediaKind Universe responds in kind, enabling content owners & originators, broadcasters and pay TV operators service providers to efficiently deliver unique, immersive experiences. For further information please visit here.